If you have been considering dental implants then you have likely approached a few different dentists to find out about the costs involved – and you may have been surprised at first to discover how much they cost. Although dental implants may appear to cost a lot, when you take a closer look at what the treatment actually involves and the benefits it offers, it is easy to see why it is well worth paying as much as you can for dental implants – and it is an investment that will pay itself back time and again. A large number of adults in the UK suffer from missing teeth. Research indicates that the large majority of these people experience low self-esteem and a loss of confidence as a result. This can have a personal, social and professional impact. People with missing teeth often begin to avoid being present in photographs, which may lead to them slowly stepping back from social media and choosing not to participate in family photos on occasions such as holidays and birthday parties. This can cause people to feel increasingly alone, compounding the problem. In more severe cases, people will avoid eating in company and even stop socialising altogether. This can lead to isolation and loneliness – a problem that is even more significant for older patients. In work, people with missing teeth have indicated that they are reluctant to give presentations, take the lead in meetings and pitches and will often avoid interviewing for new jobs or promotions. As a result, they are missing out on opportunities they deserve – and not earning to their full potential. Dental implants will help you to feel better about yourself, and with your confidence and self-esteem restored you could get much more out of life, as well as potentially increasing your earnings. With this in mind, dental implants are certainly worth every penny you spend on them. If you ask any dentist, they will advise that missing teeth are replaced – and there are some very good reasons for this. First of all, there is your oral hygiene to consider. Gaps in your teeth can be sensitive and hard to reach, meaning that you either avoid brushing them or simply can’t do so effectively. This puts your remaining teeth at a greater risk of decay. If you are missing a tooth for a long period of time, the jaw bone will slowly begin to weaken. When you chew, vibrations travel through the root of your tooth and encourage healthy growth of the jaw bone. With a missing tooth, this no longer happens and eventually the jaw can begin to weaken and recede. As well as increasing the risk of losing more teeth, this can also make you look older than you are as your jawline slowly changes shape. So how do dental implants solve this problem? A dental implant consists of three key components – the implant, the abutment and the crown. The implant is the most important part. It is a replacement for the root of the missing tooth and is made from biocompatible titanium. This means that it is able to fuse with the existing bone in your jaw, restoring strength and providing a solid foundation for your new tooth or teeth. The abutment is mounted on the implant, allowing the crown to be fitted. The crown is the visible part of the tooth. This will be coloured and shaped to look and feel just like your natural teeth so that once you have completed the treatment, you’ll forget you ever had missing teeth. How much would you be willing to pay to enjoy a smile that looks and feels great? At Liberty Place, your implants will fitted by an experienced implantologist using the highest quality materials. You will be supported throughout your treatment by the team here at our Birmingham dental clinic to make sure that you are comfortable and reassured throughout the treatment, as well as benefitting from all the aftercare you need. 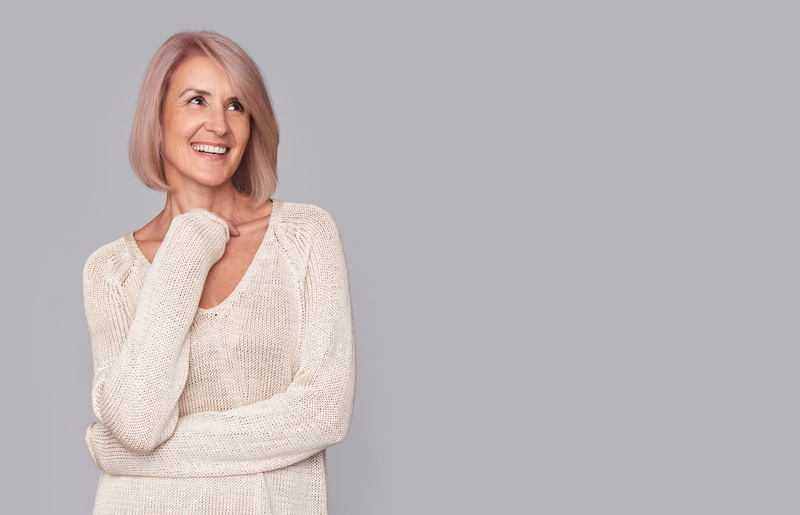 As a result of the exceptional care we take from the outset, our patients can enjoy the benefits of their dental implants for years to come – often a lifetime. We support and encourage our patients to take a proactive approach to oral hygiene and attend regular checkups as advised by the team to make sure that you get the best possible lifespan out of your implants. Unlike many dental treatments, almost anybody can have dental implants. It doesn’t matter how you came to lose your teeth – from decay, an accident or simply as a result of age. It also doesn’t matter how old you are, and the treatment will not compromise your remaining teeth. If you have lost an entire arch and wear dentures, implants can be used to support a fixed replacement. As well as significantly improving comfort, this will also eliminate the need for a plastic plate on the upper teeth – as a result you could also experience an improved sense of taste and rediscover the pleasure of eating. Even if you have already begun to experience bone loss, this can usually be rectified during treatment. In some cases, a process known as bone grafting may be required. Here at our Birmingham implant clinic, our patients are safe in the hands of a gentle and caring team who will do everything to ensure that you have a comfortable and painless experience during your treatment. The entire process will be carried out with the greatest of care under local anaesthetic, so that you don’t feel a thing. Because dental implant treatment is a minor surgical procedure, some discomfort may be experienced during healing, however we will ensure that your have an aftercare plan in place to ensure that you can start smiling straight away. As you can see, dental implants are well worth the investment – and with our interest free finance options you can spread the cost and start your treatment today with a low monthly repayment to suit you. Why delay having the smile you dream of? Call us today on 0121 633 9535 to find out more or book your dental implant consultation. Previous PostPrevious What food and drink can surprisingly harm your teeth?